Add the juice of half a lemon to the melted butter along with a ½ -1 tsp Cape Herb & Spice Piri-Piri. 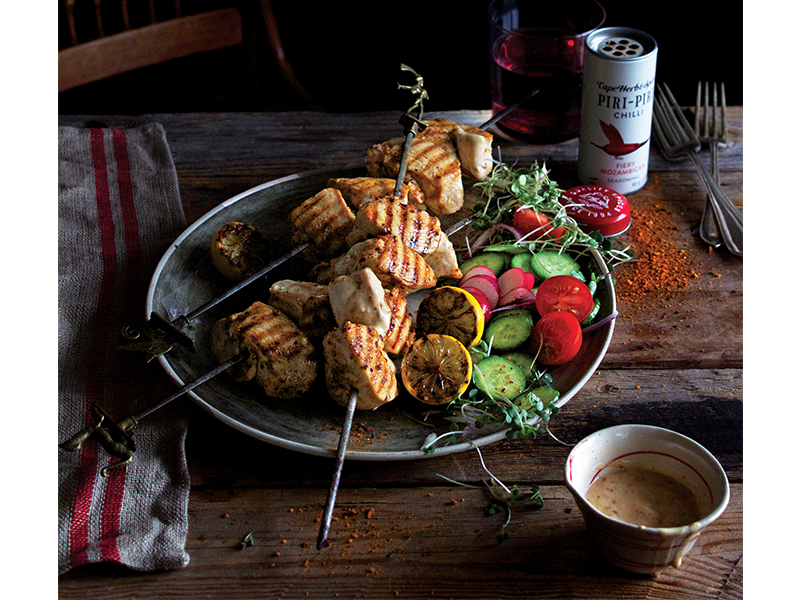 Place the skewers on the braai and brush them generously with the spiced butter during cooking to help keep the chicken moist and add another layer of flavour. Remove from the braai as soon as they are done, cover with tinfoil and allow the chicken to rest for at least 5 minutes. In the meantime make the spicy dipping sauce by mixing together the mayo and juice from the other half of the lemon. Add Cape Herb and Spice Peri-Peri to taste and stir through.